At this time of the year, many Irish marketers are probably focusing their energies and budgets on the all-important Christmas season. With just 72 days to go to Christmas Day, most of them are looking forward to what could well be their most financially successful trading period since 2007. After all, the economy is ticking over nicely, consumer confidence is at a high and people appear to be splashing the cash a bit more. What's not to look forward to? Fast forward 166 days, however, and an entirely different prospect looms large on the marketing horizon when, on March 29, the UK officially withdraws from the EU and, in the process, unleashes so many imponderables and grim scenarios. As the entire business world watches the unfolding and mind-boggling clown-show that is currently being played out in the Houses of Parliament, it would appear that the only certainty is uncertainty. And in the business and marketing world, nobody likes uncertainty. But just how Brexit-ready is the Irish marketing community and what impact will it ultimately have on the marketing and advertising industries? "The marketing profession is no more nor less ready for Brexit than the wider business community," says Tom Trainor, chief executive of the Marketing Institute of Ireland (MII). "Much of the strategic decision making for big brands and media owners takes place outside of Ireland, and those decision-makers are facing the same uncertainties as we are in Ireland. This has implications for Irish marketers who are 'riding two horses' - a reasonably buoyant domestic market with a degree of momentum and predictability into next year and an increasingly volatile international market which is anything but predictable at the moment. But most will require two plans: a 'business-as-usual' plan and a 'Brexit shock' one for 2019." But it might not be all doom and gloom either, says Trainor. "Despite the downside risks to the marketplace from Brexit, the implications for marketing functions in Ireland are, on balance, quite positive. 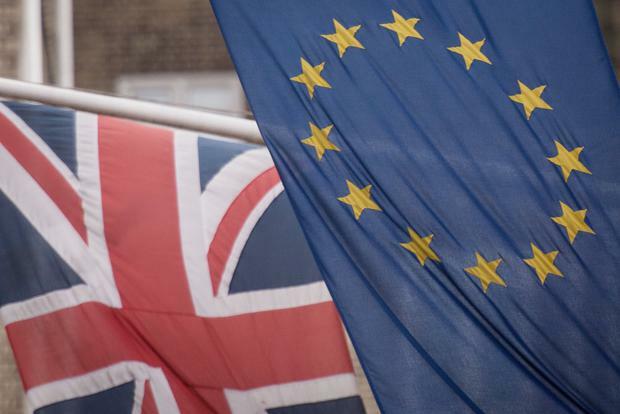 We have found that just 36pc of marketers are forecasting a negative impact on their organisations from Brexit, while one-third anticipate a neutral impact overall. Some of the sectors that anticipate a positive impact, for example, include construction, education and professional services," he adds. While the ominous spectre of Brexit has been hovering over us for two years, its cold embrace is already being felt in other parts of the marketing industry says Paul Moran, managing director of Mediaworks, part of Core. "Brexit is certainly having an impact on advertising investment in Ireland. This is mainly related to currency fluctuations and a weaker sterling," he says. A number of the top 20 advertisers operate a combined marketing function across UK and Ireland and they agree budgets in sterling for each market. As sterling weakens against the euro, the Irish advertising budget naturally declines at the same level. In particular, these currency fluctuations have had a negative effect on TV/AV media." For the likes of RTE and Virgin Media Television, this is not good news. The prospect of a hard Brexit, however, would be catastrophic for everyone operating within the wider marketing and advertising industry. Already there are signs that many marketers in the UK are returning to short-term marketing tactics because of the prevailing uncertainty. Research published by the IPA and ISBA in the UK earlier this week confirms this. As we know, short-termism is never good for marketing as, ultimately, it thwarts efforts to improve marketing's effectiveness over the longer term. Short-termism will also have a knock-on effect on the big brand advertising budgets that wing their way into the coffers of many Irish media companies. But all is not lost and perhaps there are some positives to take from Brexit. "Marketing as an industry tends to be reactive rather than pre-empt market conditions. However, once challenges arise, marketing acts quickly in response," says Moran. "Most clients are assuming a soft Brexit and are therefore adopting a cautious approach with business and related marketing plans. As we are currently developing communications plans for 2019 on behalf of clients, we are not being asked to develop various scenarios based on a hard or soft Brexit," he says. "In fact, a number of domestic clients who compete against global competitors based in the UK are reviewing Brexit opportunities with a positive attitude. For example, if their global UK based competitors are reducing Irish advertising budgets as a result of sterling's fluctuations, smart ambitious domestic-based Irish companies are reviewing opportunities to grow ad spend, thereby grow their share of voice in media and ultimately this is proven to help brands grow market share and profitability," he says.